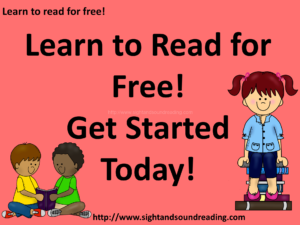 Here are the directions to get started in the learn to read for free program. Below is a list and link of the videos for each day in the program. Also listed are the words and skills that Mrs. Karle teaches during that day’s video. After your student has taken the reading readiness test, and is ready to learn to read, begin the program at Day 1. If your child is a struggling reader, test your child to see which sight words your student knows. Watch the videos that help teach the sight words that your student struggles to read.